Eye shadows abound in this pretty little Miss Claire Makeup kit that features 16 different eye shadows in beautiful shades. Perfect for creating different looks, whenever the mood arises! Explore the entire range of Eye Shadow available on Nykaa. 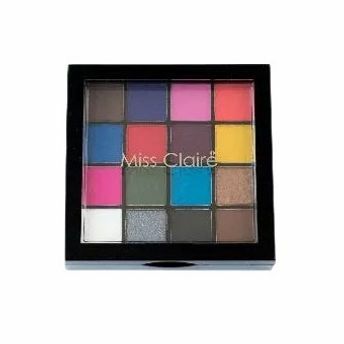 Shop more Miss Claire products here.You can browse through the complete world of Miss Claire Eye Shadow .